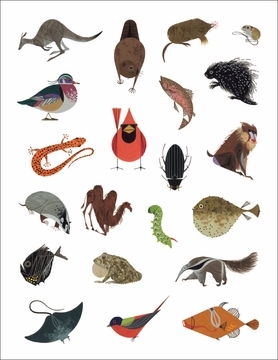 Artist and animal-lover Charley Harper (American, 1922–2007) was raised on a farm in West Virginia. As a kid he would go exploring in the woods and fields near his home, taking along a pen and paper to sketch the critters he came across. When he grew up, he developed a unique artistic style. 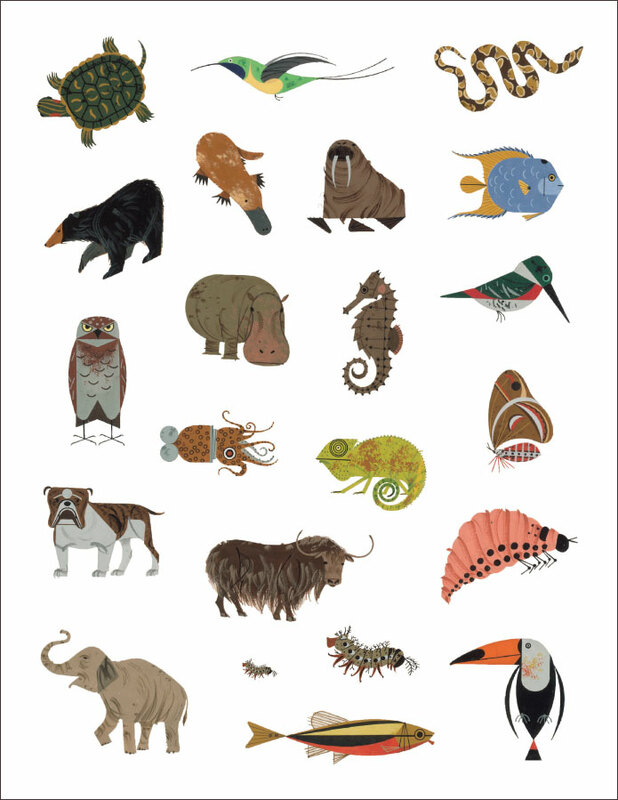 Instead of trying to capture every small detail of his wild subjects, he would simplify each animal down to its most basic elements. 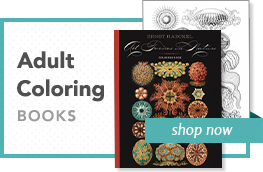 Rather than drawing every feather on a bird, for example, he would just draw bold, colorful shapes for the wings, body, beak, and tail. And he always highlighted each animal’s most familiar features—the big bill of a pelican, for example, or the masked face of a raccoon. The 67 animals in this sticker book all come from Charley’s painting Tree of Life (shown inside the front cover), which depicts 102 different plants and animals; Charley wanted to show us the amazing variety in nature and how all living things are dependent upon each other. 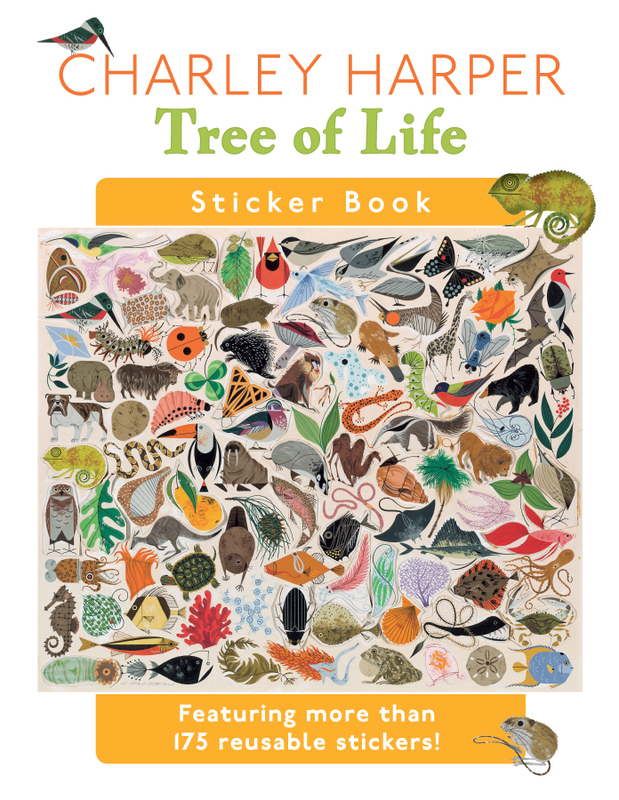 Perhaps these stickers will inspire you to learn more about the animal world that Charley loved so much. Happy stickering!